Dec 14, 2016 /2 Comments/in Success Newsletters /by Patrick Wanis Ph.D. In this week’s Success Newsletter, I would like to reveal the 20 signs that you are being gaslighted. It seems obvious that anyone living in an abusive relationship should get out immediately. And yet that doesn’t happen. There are 10 reasons why women stay in abusive marriages and relationships, and there are also clear reasons why outside men don’t understand women in these situations. What does it take for you to feel loved, truly loved? Love is an expression and therefore it has a language – a form of communicating and expressing. Watch the video: There are 5 languages of love and if you and your partner have clashing languages of love neither of you will feel loved. Once you realize that you are experiencing patterns of relationships of Twisted Love, is it possible to change that? Can you transform subconscious beliefs of & attraction to Twisted Love into healthy satisfying love? Yes, you can. Watch the video. Now, let’s talk about the 20 signs that you are being gaslighted. In 1938, at the age of 34, Patrick Hamilton wrote a mystery/thriller play, “Gaslight” about a man who deliberately and methodically tries to destroy his wife’s sanity and have her place in an insane asylum so that he can find & keep the jewels belonging to an old woman he once murdered. The play is set in the 19th century when buildings and streets were lit by gas. The play Gaslight reveals the man, Jack, using various methods to try to convince his wife, Bella, that she is going mad, that she is becoming forgetful, secretly misplacing, moving, losing and even stealing things as well as hallucinating sounds and images. Jack makes her completely doubt herself, destabilizes her perception of herself and the world around her and ultimately makes himself to be the victim of her madness & disease. Bella can no longer trust her own memory or her own perception of reality. Each night Bella hears sounds and sees the gaslight dim in her bedroom, which is caused when someone else turns on another light in the house. The house help and her husband (who is secretly switching on another gaslight in the house) deny that anyone else is in the house and so she continues to be fooled by her husband’s lies and manipulations. Bella resigns herself into believing that she is really mentally ill until a stranger comes to her rescue and convinces her she is not mad, but rather she is being tricked. “Gaslight” was produced and staged in London and Broadway (as “Angel Street”.) “Gaslight” was turned into a film in 1940 in the UK, and the US version in 1944, featured Ingrid Bergman who won an Oscar for her role. Eventually, the term “gaslighting” came to describe a form of psychological abuse where the abuser manipulates the victim into doubting their own memory, perception, and sanity. In the play and movie, Gaslight, the abuser manipulates objects to fool his wife into thinking she is mentally sick. Today, gaslighting without the manipulation of objects is a common form of abuse by narcissists and sociopaths. Gaslighters can be friends, romantic partners, parents, siblings or work colleagues. Learn more about gaslighting and being gaslighted by spiritual gurus. 11. You apologize a lot even when it’s not your fault. 19. You doubt your own sanity. This is the ultimate goal of the gaslighter. Why? Convincing you that you are insane, mentally ill or diseased gives him/her greater power and control over you. 20. You’ve been in this abusive relationship for so long that is all you know now, or, this is yet another example of the abusive relationships you have experienced. Unknowingly, you have been attracted to these relationships because of a subconscious belief that “this” is love or that “this” is what you deserve. Stop here. Do not blame yourself; ask for help to change your definitions and programs around love and to change what you subconsciously believe you deserve. People’s perceptions of the same event often differ and sometimes they differ dramatically. However, when a particular person always says you are wrong and your perception, memory, point of view or your emotions are wrong, then he/she is gaslighting you! 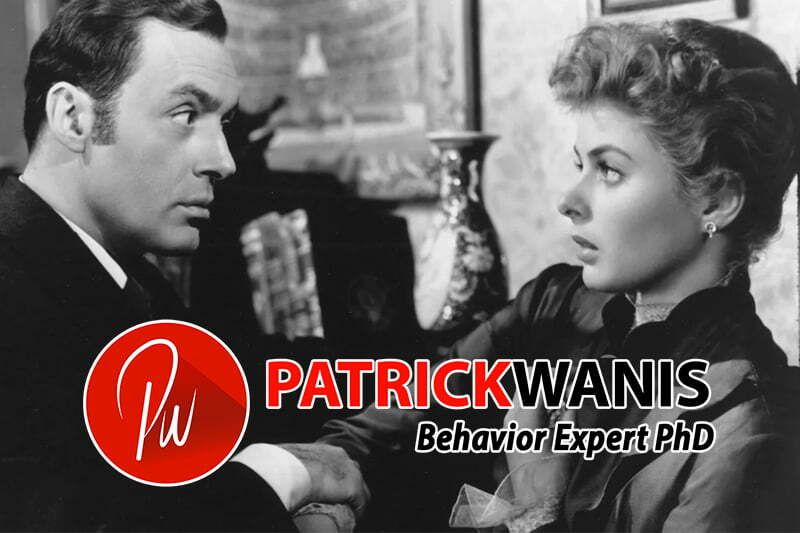 Interestingly, it was a young man, Patrick Hamilton who first wrote about abuse in the form of Gaslighting; he was raised by an alcoholic father which might account for Patrick’s insights into abusive behavior. However, both genders can be abusive and can engage in Gaslighting. If you need assistance to overcome gaslighting or break free from an abusive relationship, book a one-on-one session with me.